The all round snow at Manali means that we can offer snow scooter rides to travelers. These powerful machines will carry you for about 2km through spectacular scenery and is excellent for adrenalin lovers but don't worry, you will always be riding with an experienced local driver. Snow scooters have become a very popular leisure vehicle when people want small or long ride. After taking ride of snowboard, one can find himself in a magnificent nature filled with experiences and adventures. You may either drive snow scooter with an experienced snow scooter driver or drive yourself together with a guide. If skiing is the excitement and thrill then snow scooter is the riding experience with fun and joy. A hugely popular and the most exciting of all rides in the mountain terrains, snow scooter gives a panoramic view of the Sceneries around Manali. 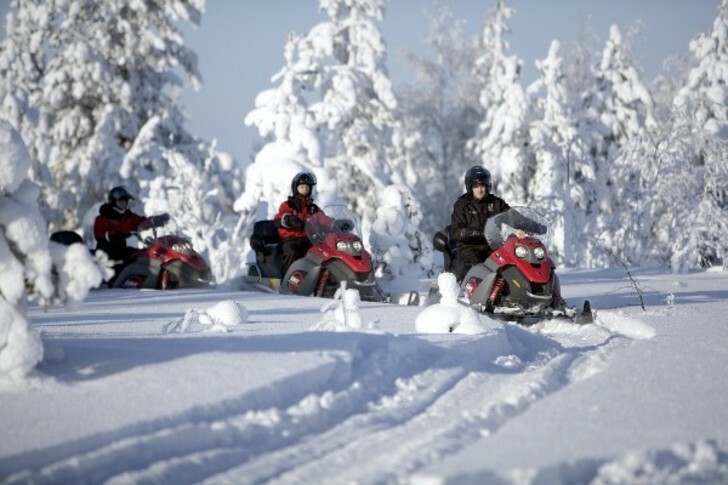 Snow Scooter is one of the most popular upcoming adventure sports of manali.